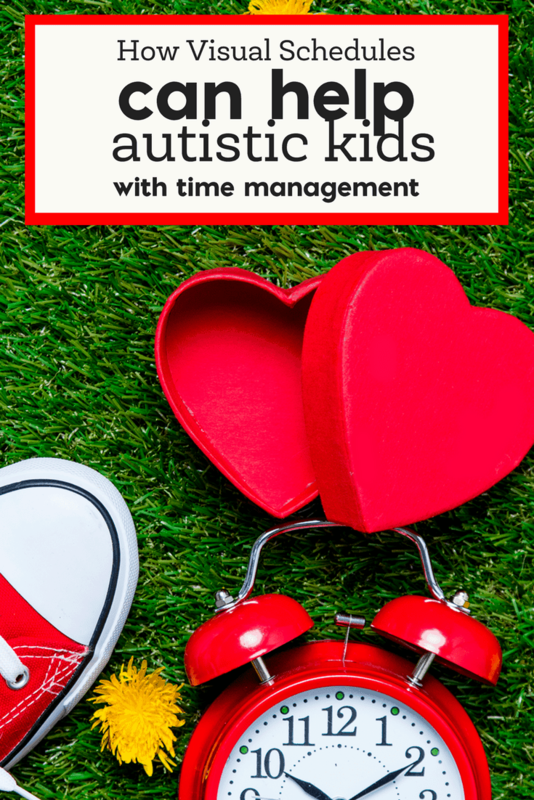 If you are looking to help your autistic child with functional life skills, I’d love to talk to you about how to use time management resources for autism. Some of these are so simple and my absolute favorite? Using visual schedules. 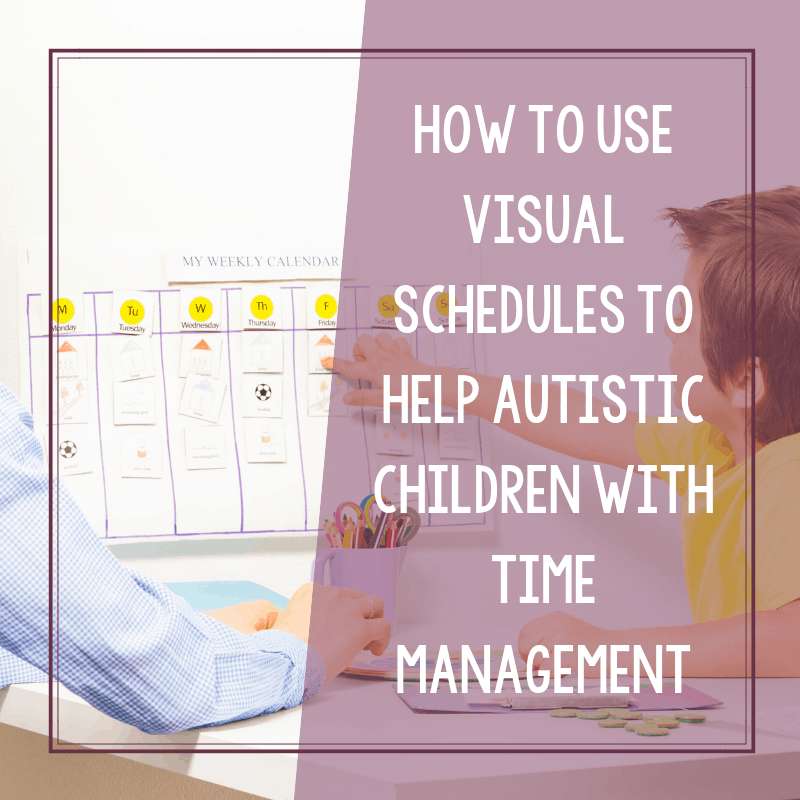 Visual schedules and supports are incredibly important resources for autism and I truly believe that all starts at home. But, where does a parent begin? There’s already so much to take in when it comes to parenting an autistic child — believe me, I know! We are huge fans of using visual schedules. It helps my autistic daughter with predictability and gives her some control over her routine. From home-made schedules to schedules that are used in the classroom; visual schedules have been a key asset for my daughter. 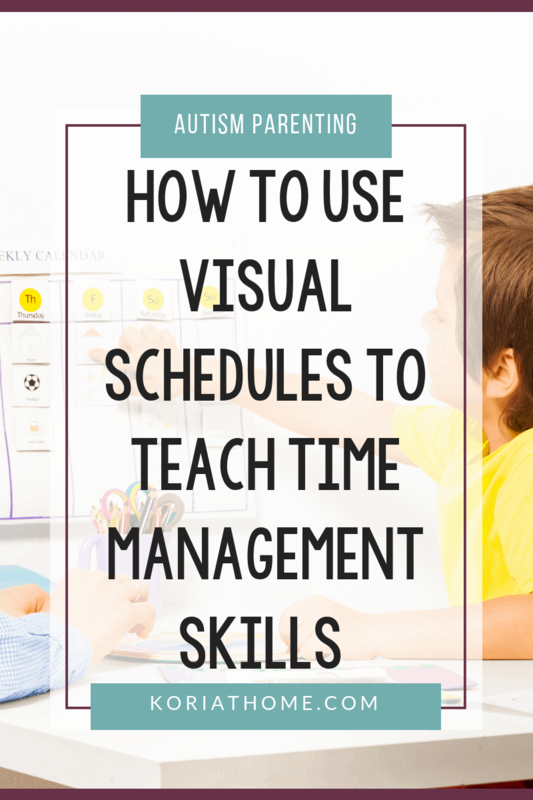 But can visual schedules assist with time management as well? I absolutely think so. 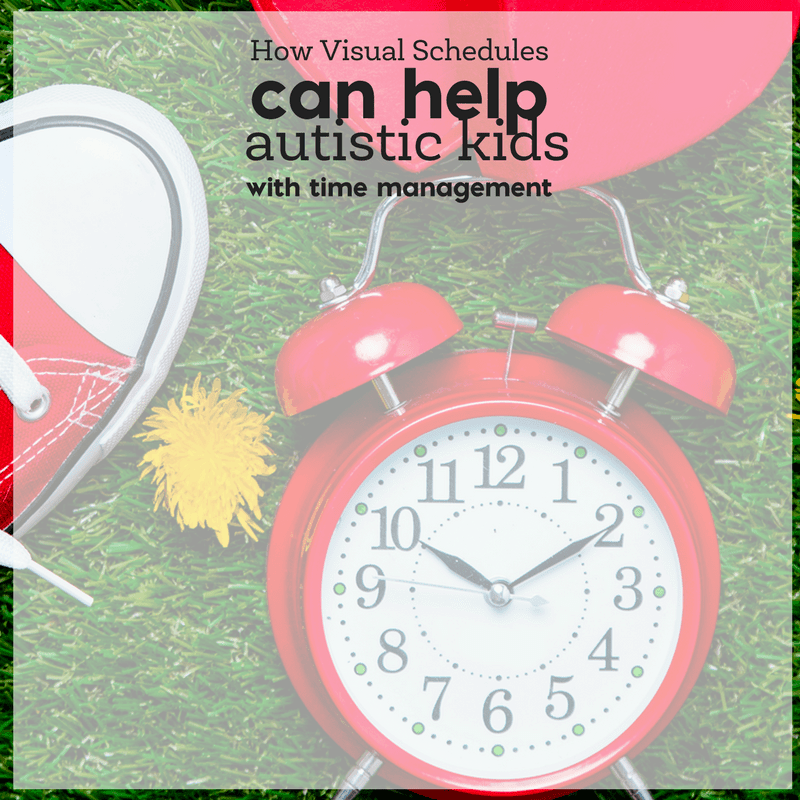 As mentioned already, visual schedules have helped my autistic daughter with her routine. Whether it’s bedtime routines or daytime routines. Or preparing for a back to school routine. Having a visual schedule helps to let her know when something is going to happen and the sequence. This is incredibly important for her because it keeps things structured and predictable- both of which are huge. At the same time, I also know that even the most carefully laid plans may crumble or have a little hiccup. Doctor’s appointments, for example, may run late. Or you may hit an unexpected traffic snag. At home or in school, on the other hand, you can use visual schedules to help bring much needed structure to the day. Often, a visual schedule comes with activity cards and a time card. On the designated chart, you’ll have spaces for both. Some visual schedules may also include space for “first this, then that” or “next” depending on how much structure the individual child needs. In My Personal Schedule, for example, I have included several chart options. While in my Preschool Schedule, I have kept it to mostly day/afternoon activities. Time management can be challenging for any age or ability- believe me, I know. It’s something that I’ve struggled with quite a bit as well. 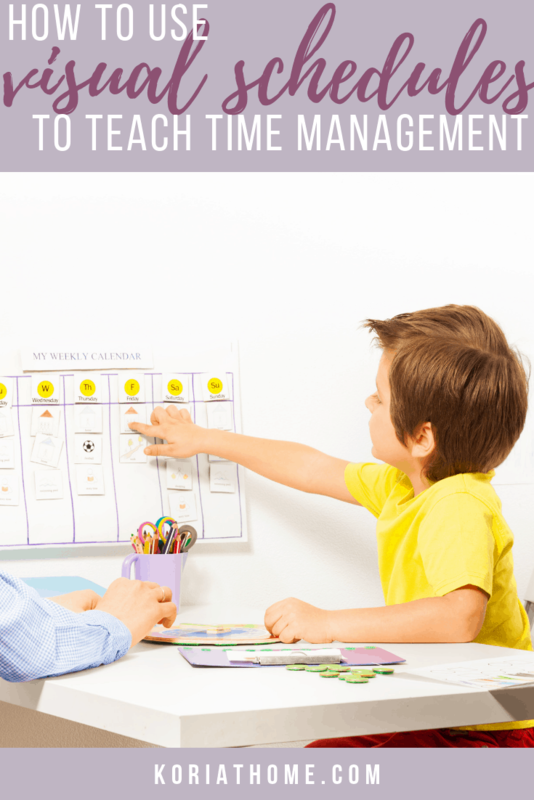 And as a mom of an autistic kid, time management is one of those things that I strive to stay on top of. For her sake and for mine. During the school year, or when she’s in camp, I know that I have a certain window of time during the day. While I can make a few to-do lists for the day, I’ve also learned that time blocking is huge when it comes to making the best use of my time. So, in a similar fashion to the visual schedules (but without the visuals), I plan out my day. Actual time and time spent varies, but this is the basis of my routine on any given weekday. Still, I try to leave some room for flexibility or special activities. Is this routine perfect? Not by any stretch. But it’s adaptable and it meets our family’s needs. As my daughter has grown, so have her needs and her abilities. Where she may have needed more of my assistance in the past, she is now far more independent. Yes, she still needs some help. Maybe she always will. But, at the very least, her time management skills are improving- and I think in part to the use of visual schedules.